A rev 1.0 hardware specification has been released for new DSFP (Dual Small Form-Factor Pluggable) modules -- doubling the data rate and port density of SFP modules in the same footprint. Whereas SFP has a single electrical lane pair operating at bit and data rates up to 28 Gbps using NRZ and 56 Gbps using PAM4, the new DSFP has two electrical lane pairs, each operating at bit rates up to 26 Gbps using NRZ and 56 Gbps using PAM4, supporting aggregate date rates up to 56 Gbps and 112 Gbps, respectively. DSFP will potentially scale to a per lane bit rate of 112 Gbps using PAM4, supporting aggregate data rate up to 224 Gbps. SFP modules can be plugged into DSFP ports for backwards compatibility. The spec was developed by the DSFP MSA (Multi-Source Agreement) Group, whose founding members are Amphenol, Finisar, Huawei, Lumentum, Molex, NEC, TE Connectivity, and Yamaichi. The DSFP Hardware Specification Rev. 1.0 includes complete electrical, mechanical and thermal specifications for module and host card, including connector, cage, power, and hardware I/O. Also included are operating parameters, data rates, protocols, and supported applications. Work is now underway on the DSFP MIS (Management Interface Specification), which is an abridged version of the CMIS (Common MIS) being developed by the QSFP-DD, OSFP and COBO Advisors Group. “Publication of the DSFP Hardware Specification is part of an industry trend of quickly developing solutions optimized for specific applications. Stringent cost, power and size constraints in demanding market segments, like Mobile infrastructure, leads to solutions focused strictly on required functionality,” commented Chris Cole, Chair of the DSFP MSA Group, and Vice President of Advanced Development, Finisar. At ECOC 2018, Finisar is demonstrating several 200G and 400G transceivers, including 400G QSFP-DD DR4, 400G QSFP-DD eLR8 (extended-reach), 200G QSFP56 FR4 and 200G QSFP56 eFR4. In addition, Finisar is showing the industry’s first 64 Gbaud Integrated Tunable Transmitter and Receiver Assembly (ITTRA) and a new Flextune self-tuning feature for tunable DWDM modules. 400G QSFP-DD DR4 Transceivers -- a new 400G QSFP-DD DR4 transceiver targets parallel single mode fiber (SMF) links in hyperscale cloud data centers. Finisar is demoing an optical module transmitting data point-to-point over parallel single mode fiber (SMF) using four 100G PAM4 optical lanes, per the IEEE 802.3bs 400GBASE-DR4 standard. These DR4 modules can also be used in break-out applications to four 100G QSFP28 DR transceivers. 400G QSFP-DD eLR8 Transceivers -- Finisar is performing the industry's first public demonstration of a 400G QSFP-DD eLR8 extended-reach transceiver, transmitting data over 30km of duplex SMF. These modules provide a cost-effective option for router-to-router, or router-to-transport interconnections and use a DML-based 8x50G PAM4 optical architecture. This demonstration shows an extension of the technology which is already in production in Finisar’s 400G CFP8 LR8 modules and which has been demonstrated in Finisar’s 400G QSFP-DD LR8 modules over 10km at OFC 2018. 200G QSFP56 FR4 and eFR4 Transceivers -- for hyperscale cloud data centers that require 200G optical connectivity, Finisar is demonstrating both an IEEE Standard-based 200G QSFP56 FR4 module operating over 2km of duplex SMF and an extended-reach eFR4 version operating over 10km of duplex SMF. Both types of modules employ low-cost DML transmitters, providing cost-effective options for both standard and longer reaches. 64 Gbaud ITTRA demonstration-- Finisar is showing 64 Gigabaud Integrated Tunable Transmitter and Receiver Assembly (ITTRA) transmitting and receiving data error-free at 400 Gbps using DP-16QAM modulation. The ITTRA is a complete coherent optics assembly, which integrates a transmitter and a receiver into the smallest 64 Gbaud footprint in the market. It can be integrated into coherent line cards or 400G Digital Coherent Optics (DCO) transceivers, accelerating time to market and decreasing development and manufacturing labor costs due to fewer assembly steps and lower test times. This 64 Gbaud ITTRA product complements the 32 Gbaud ITTRA introduced by Finisar earlier this year at OFC. Flextune Automatic Wavelength Tuning Feature Demonstration -- Finisar's Flextune is an automatic transceiver wavelength tuning feature which can significantly reduce provisioning time and operating expenses when deploying tunable DWDM transceivers. Using Finisar-patented technology, each transceiver on a DWDM optical link can self-tune to the correct wavelength determined by its physical connection to the passive mux/demux infrastructure, and without intervention by the host system or technicians. Finisar will perform a functional demonstration of Flextune™ on duplex Tunable SFP+ transceivers this week, and the feature is also being implemented on bidirectional Tunable SFP+ as well as on coherent transceivers. Measurement Capabilities Added to Optical Instrumentation Portfolio -- Finisar's new WaveAnalyzer GUI release 1.8 now supports measurements of the Side Mode Suppression Ratio (SMSR) of lasers, an important performance characteristic for such devices operating in optical communication systems. Also, release 1.8 provides an in-channel Optical Signal to Noise Ratio (OSNR) measurement technique which is important in networks with filter elements like ROADMs. At ECOC 2018, Finisar is demonstrating its new Flextune self-tuning feature for tunable DWDM transceiver modules. 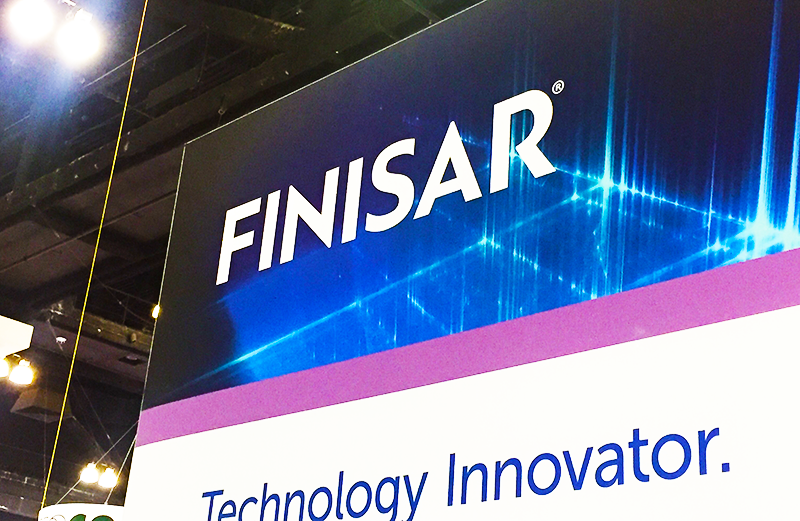 Finisar says its new Flextune automatic transceiver wavelength tuning feature can significantly reduce provisioning time and operating expenses when deploying tunable DWDM transceivers. Using Finisar-patented technology, each transceiver on a DWDM optical link can self-tune to the correct wavelength determined by its physical connection to the passive mux/demux infrastructure without intervention by the host system or technicians. This industry-first feature by Finisar allows up to 96 wavelength-tunable optical transceivers in a network to self-tune their wavelengths and operate over the DWDM infrastructure. Technicians simply insert the tunable DWDM transceivers into any host port on both ends of the link, and connect them to any of the optical mux/demux ports with fiber optic patch cables. Firmware contained in the transceivers determines the proper wavelengths to connect each host port to its remote end of the link, which can reduce provisioning time from hours to minutes. This can result in significant OpEx savings for service providers in DWDM metro and access applications such as mobile front-haul, Remote PHY, and data center interconnections (DCI). The Flextune feature is expected to be implemented on Finisar’s duplex and bidirectional Tunable SFP+, as well as on coherent transceivers. Samples are available now. 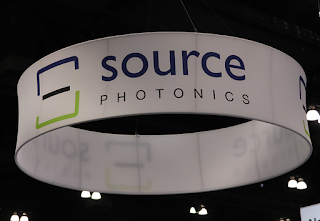 At ECOC 2018, Source Photonics is partnering with Huawei in showcasing 50G and 400G optical transceivers based on PAM4 technology. The companies are participating in the Ethernet Alliance Interoperability Demonstration, which consists of multiple 400G and 50G links among participating network and test equipment manufacturers including Huawei. Source Photonics said it is working with Huawei in providing operators an environmentally friendly and energy-efficient technology. The companies took the initiative this year in driving the development of optical modules based on 50G PAM4 technology. The PAM4 technology coupled with faster Baud Rates and higher density transceiver types are enabling 400G which is known to be key in migrating to higher speed networks. Arista Networks' Any Cloud software platform is now supported in Microsoft Azure Stack. This includes the virtualized Arista vEOS Router combined with CloudVision with Cloud Tracer functionality. Arista's vEOS Router leverages a cloud-grade routing stack and IPsec VPN tunnels to reliably and securely interconnect workloads across multi-cloud deployments. As a virtual network appliance, it runs identically in both Azure Public Cloud and on premises Azure Stack as well as other major cloud platforms. Arista said this approach provides a consistent and familiar operational experience via its industry-standard Command Line Interface (CLI), open APIs, value added-extensions, cloud-grade routing, telemetry, and orchestration tools in both on-premises and public cloud locations as well as across multiple clouds. Arista vEOS Router provides improved scaling and visibility for enterprise customers adopting hybrid cloud deployment architectures with a single-image routing stack. “Arista has had a long-standing relationship with Microsoft. The combination of Arista EOS with both Azure and Azure stack brings the best of secure connectivity and cloud principles to top enterprises around the world,” said Jeff Raymond, Vice President EOS Software and Services for Arista Networks." Arista vEOS Router includes Arista A-Care support and is sold as a monthly subscription. vEOS Router is available now in the Microsoft Azure Marketplace for Azure Public Cloud and Azure Stack. The complete Any Cloud platform, including CloudVision and vEOS Router is available for most common hypervisors (Linux KVM and VMware ESXi) and for public cloud platforms including Azure, AWS, GCP and other clouds. Australia's NBN Co. has begun deployment of Coriant CloudWave Optics technology across its 60,000-kilometer transcontinental optical transport backbone network. The network upgrade enables NBN Co to double bandwidth capacity using coherent optical technology that supports per-wavelength transmission rates of 200 Gbps. Coriant CloudWave Optics is an ultra-compact coherent interface solution that supports software programmable high-speed transmission to lower cost per bit as networks scale. Coriant said the upgrade to CloudWave Optics will allow NBN Co to increase maximum capacity on its transit network from 9.6 Tbps to 19.2 Tbps per fiber link while reducing capital and operating expense as a result of smaller footprint requirements, reduced power consumption, and greater throughput density. 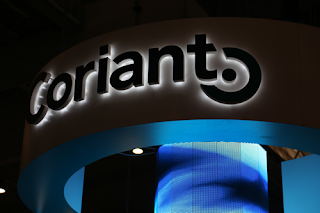 Coriant's technology also supports a seamless upgrade to 400G, as needed. Initial upgrade sites span high-traffic fiber links between Eastern Creek and Asquith in Sydney and the 3,600 km route between Brisbane, Queensland, and Darwin in the Northern Territory. NBN Co’s backbone network – known as the Transit Network – was originally built using the Coriant hiT 7300 Multi-Haul Transport Transport Platform and spans over 60,000 kilometers of fiber around Australia to connect access nodes to NBN Co’s 121 Points of Interconnect (POI) where traffic is transferred to service providers. Keysight Technologies introduced a compact and scalable 5G base station manufacturing test solution that enables network equipment manufacturers (NEMs) to streamline volume test of 5G New Radio (NR) infrastructure equipment. The Keysight S9100A 5G multi-band vector transceiver (S9100A) uses common hardware and software platforms (including Keysight's PathWave) which support the latest 3GPP 5G NR Rel. 15.2.0 standards. It also uses Keysight's new PXIe vector transceiver (VXT) (Keysight M9410A) to provide industry-leading RF performance in a compact modular design, for improved efficiency and scalability in manufacturing test. Keysight's VXT offers wide bandwidth support of up to 1.2 GHz, combined with high-performance mmWave transceiver heads, to deliver Error Vector Magnitude (EVM) and Adjacent Channel Leakage Ratio (ACLR) performance across FR1 and FR2 in a small footprint. "The introduction of Keysight's 5G base station manufacturing test solution enables network equipment manufacturers around the world to ramp up 5G manufacturing," said Giampaolo Tardioli, vice president of Keysight's Network Access group. "The scalability across sub-6GHz and mmWave frequencies, compact design and superior RF performance of the S9100A, offer users a clear and rapid path from design validation to volume manufacturing." Chef introduced several automation tools to help customers migrate legacy applications onto and manage configuration and compliance of their Microsoft Azure infrastructure. The company said the integration of its suite of automation tools with Azure gives users the computing power needed to continuously automate infrastructure, applications and compliance across their environments, regardless of their size. This results in increased velocity with reduced risk. Public preview of Chef Automate Managed Service for Azure accelerates organizations’ time-to-value by removing the effort of deploying and managing Chef Automate on their own. This includes full support for Chef Automate 2.0 as a fully-managed service including automatic updates. Chef Workstation integration with Azure Cloud Shell provides a quick method for applying configuration changes to users’ systems, regardless of whether they are managed by Chef, and without requiring any pre-installed software -- all within the Azure portal. Access to Chef Workstation in Azure Cloud Shell, coupled with InSpec, lets users run configuration commands and compliance checks on nodes that were previously not managed by Chef for continuous automation across their entire Azure platform. Integration of InSpec with Azure’s cloud infrastructure (beta), in combination with Chef Automate 2 compliance profiles for Azure’s CIS Benchmark, gives users the ability to automate compliance audits for all application environments directly from Azure Cloud Shell. Microsoft's newly released Azure Policy Guest Configuration uses InSpec for all Linux VMs that are managed by Azure Policy. Lattice Semiconductor is boosting the capabilities of its "sensAI" stack designed for machine learning inferencing in consumer and industrial IoT applications. Specifically, Lattice is releasing new IP cores, reference designs, demos and hardware development kits that provide scalable performance and power for always-on, on-device artificial intelligence (AI) applications. The release includes an updated neural network compiler tool with improved ease-of-use and both Caffe and TensorFlow support for iCE40 UltraPlus FPGAs. • Stand-alone iCE40 UltraPlus / ECP5 FPGA based always-on, integrated solutions, with latency, security, and form factor benefits. • Solutions utilizing iCE40 UltraPlus as an always-on processor that detects key-phrases or objects, and wakes-up a high performance AP SoC / ASIC for further analytics only when required, reducing overall system power consumption. • Solutions utilizing the scalable performance/power benefits of ECP5 for neural network acceleration, along with IO flexibility to seamlessly interface to on-board legacy devices including sensors and low-end MCUs for system control. Intel is expanding its line of field programmable gate array (FPGA) acceleration cards with a new model based on its most powerful Stratix 10 SX FPGA. The card leverages the Acceleration Stack for Intel Xeon CPU with FPGAs, providing data center developers a robust platform to deploy FPGA-based accelerated workloads. Hewlett Packard Enterprise* will be the first OEM to incorporate the Intel PAC with Stratix 10 SX FPGA along with the Intel Acceleration Stack for Intel Xeon Scalable processor with FPGAs into its servers.